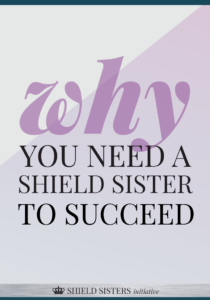 If there is one thing we have learned in the beta program, it is that every female entrepreneur needs a Shield Sister. 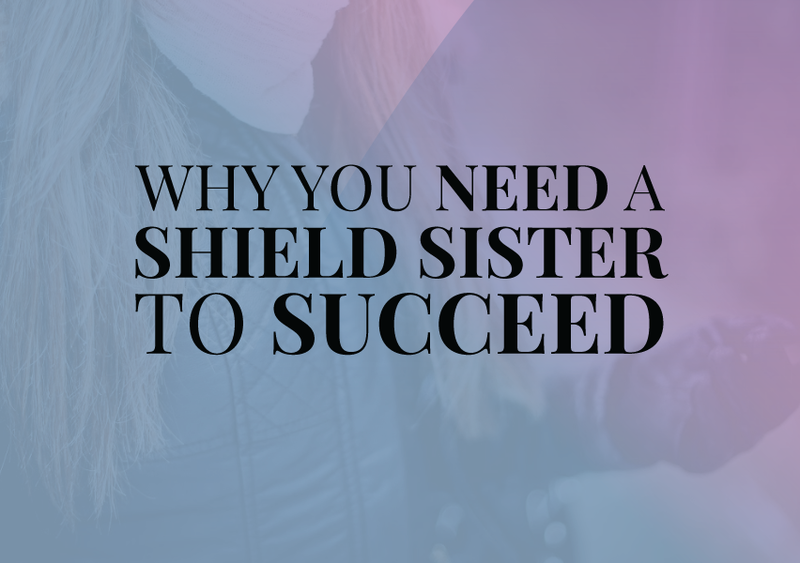 It’s not just that we want you to have a Shield Sister, but you need her in your life like you need oxygen to breathe. Because your Shield Sisters are there, always. We are in your corner with pom poms screaming your name, holding your hand when you hear the worst news and laughing contagiously at how THAT just happened. You know what type of friend I’m talking about – the one that you can never let out of your life because you would be lost. She’s got your back and your best interest in her heart. Shield Sisters are not conniving or self-serving. There is a fine line between practicing self-love and being selfish, and Shield Sisters know that. Your Shield Sister is able to be strong in her own self-love so that she can support you. Instead of competing or letting jealousy get in the way, she focuses on building you and your business up alongside her own. Even if you have a similar focus, she would rather collaborate than “steal” clients. A Shield Sister knows there is room for all of us because we each have a unique voice and way of leading others. We are different down to our very molecules. So Shield Sisters don’t waste emotions on negativity and ill-wishing, but instead, hold their sisters in their hearts. That’s not to say that your Shield Sister is only going to tell you what you want to hear. She won’t sugarcoat it, but she will empower you. We all have the blunt friend and the friend who is a people pleaser. You might be one of those friends. But Shield Sisters find their way to the middle of the spectrum. A Shield Sister’s self-confidence is rooted in who she is, so she won’t be bending over backward to tell you what you want to hear. But she also has empathy, so she isn’t going to be cold. When you come to a Shield Sister for advice she listens first, then offers her perspective. There is always an understanding that this is what she would do, but it is always going to be your decision. She will give you an action plan, empowering you to do it for yourself. Like we say as coaches, we will give you the tools, but you have to do the work. She’s got you, but she knows she can’t do it for you. She is the ying to your yang. We’re not saying all Shield Sisters are total opposites. In fact, what makes the sisterhood so wonderful is the fact that we each have differences and similarities and we embrace them. You know how best friend bracelets split in half, so if you had a group of three best friends someone always felt left out? Yeah, Shield Sisters laugh at people who think that you can only have one best friend. We’re more like #squadgoals than two parts of a necklace; each of us has something to offer each other. We know and understand that everyone’s relationships will differ and some might form a closer bond in some aspects, but that doesn’t mean that there is no room to form a different bond. We don’t envy relationships and partnerships but build them up. She’ll be there when you need her most. With a worldwide community of sisters, there will always be a sister available to support you. 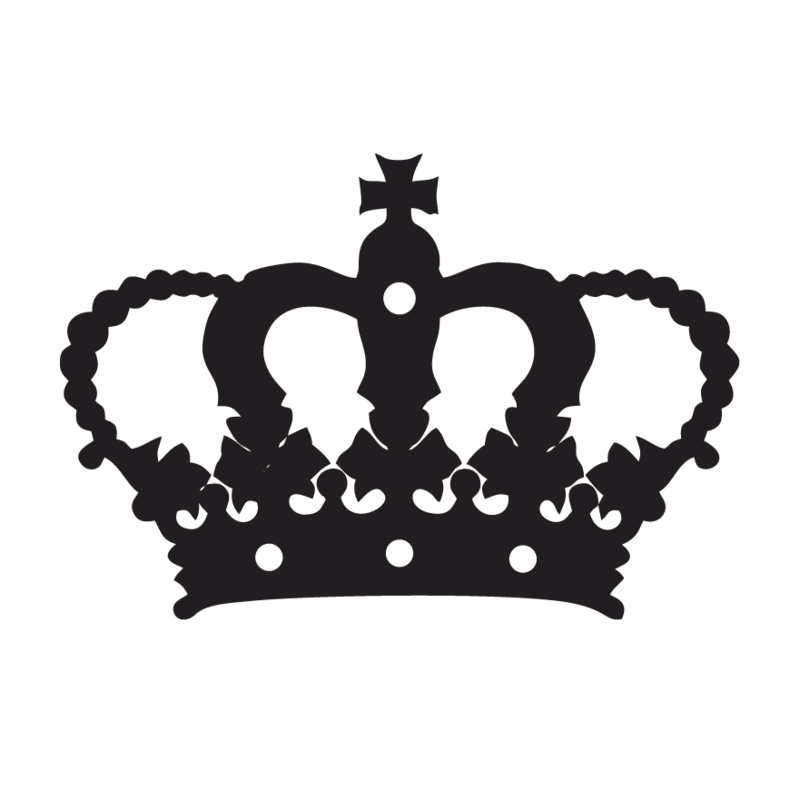 It is amazing that we have sisters in almost every time zone – from Australia to the U.S. to Europe and more. In just the few short weeks since this community began, the amount of support, positivity and love that can be seen is phenomenal. Some of the sisters have known each other for years and others joined barely knowing another soul, but none of that matters. It doesn’t matter how long you’ve known someone, or how short the friendship may last, what matters is that this sister is in your life when you needed her most. Shield Sisters are not perfect. We are raw and emotional but we love with all we’ve got. Will we be moody and get hurt feelings? You bet! But what sets this sisterhood apart is our focus on building each other up, collaborating instead of competing, and our focus on our individual personal growth. We are your sanctuary. Welcome home!